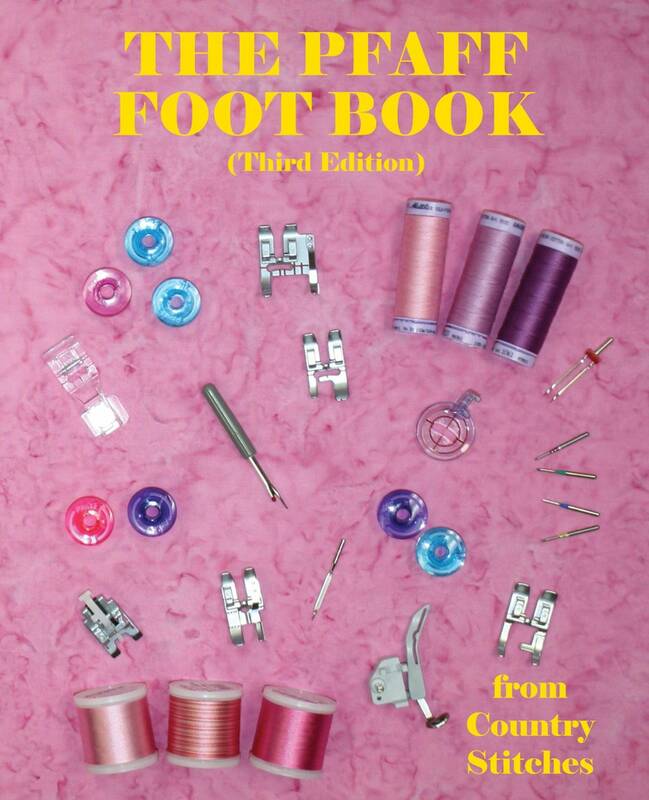 Deborah Lathrop VanAken and Anita Covert PhD have created this revised, 3rd edition of The Pfaff Foot Book. It tells you all about the feet that are available for Pfaff Sewing Machines. Well organized, it includes pictures of all the feet so you can match up the feet in your collection and learn more about each of them. This new book from Country Stitches features the general uses of each Pfaff foot, tips for the common use of the foot and other uses for each foot. The authors have collected all the information they could and organized it into this book. You'll be amazed at the things you can create once you learn how. The inside front and back cover features pictures of all the feet so you can match up the feet in your collection and learn more about them. Revised - Third Edition, 2018.